To address the question about being PG free, to it now saying that there is PG in the flavors. I have always tried to be very clear about what goes in to the bottles and did not want to say that all flavors are PG free any longer if a few were not. Oh one more thing as I was scrolling up. When we were talking proof verse percentage before I was talking about what is in the flavor base. PG based flavors contain all PG filler (this is why it causes all the sensitivity issues), and alcohol is distilled water that has alcohol in it at a set proof or percentage. Think about a bottle of vodka you may drink at home. If it is 40 proof (20%) what is the other 80% of that bottle? Same concept in flavoring except the alcohol here is used as a preservative and helps with the suspension of ingredients. First let me say thank you for rescuing our sanity. Second, punch that 3rd party in their bathing suit area! I remember discussing that there may be very low levels of certain solvents, PG/PDO, added to the flavorings so seeing that some contained up to 40-50% kinda threw us for a loop. Appreciate you straightening this out for us. So, when creating a recipe do I chose “other” for the diluent? I don’t see anything for alcohol. This will be my first time building recipes using all or a combo of PG/Alcohol flavors. , when creating a recipe do I chose “other” for the diluent? I was wondering if I should stick to 10ml testers or jump to 30ml for some of them. I hear they make good stand alones. Has anyone started mixing theirs yet. Definitely stick to 10ml. Even if you do like any as a SF, you’ll have to dial in your preferred strength. I haven’t tried all those flavors, but Deep Fried spongecake can be good as a SF. Maybe the pie, french toast pancake and fruits? Not sure, haven’t tried those. Based on the other fruit flavors of theirs I have tried, they aren’t good SF. Unless you like eating brown sugar or aged bourbon cream by themselves, they are more of an accent. Normally a graham cracker by itself is good, but vapes tend to be dry with them, so probably an accent. But, I am a huge believer in testing everything SF, as it makes you know your flavors sooooo much better. 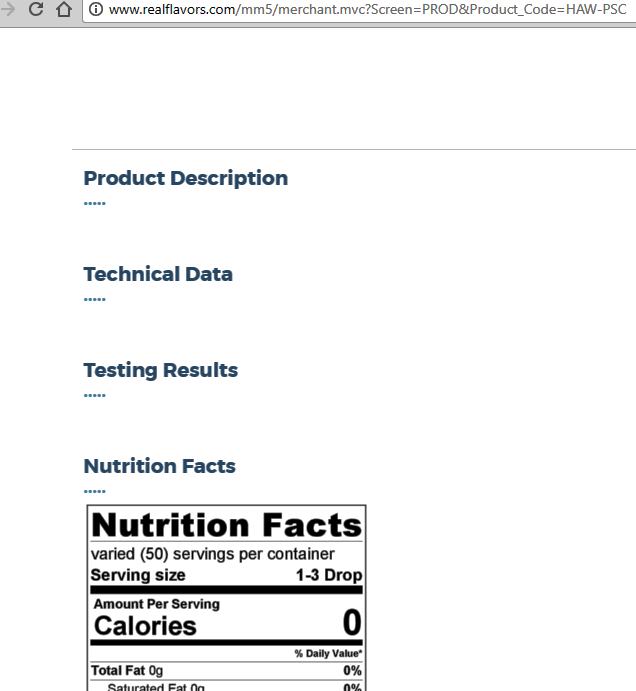 And if you make a recipe that you taste an off note in it you’ll know immediately which flavor it is from your SF testing, instead of having to narrow it down 1 flavor at a time…more time consuming than SF testing. But that is just my preferences. Everyone has their ways they like to do things that works for them. Please let me know how that Butter Pecan Pie turns out…I’ve been very curious about it. I’ve heard a lot of good things about the french toast as well but I can’t remember off the top of my head whether it was good SF. I’m new to RF SC. So, when I create a recipe I need to choose “other” for the flavor base where it says PG, VG, other? (even though there might be a little PG in the flavoring)? Yes. There are, I believe, only 3 RFSCs that contain PG, and it’s such a small amount that choosing “other” should still be the way to go. Appreciated :). However, for those of us who really do need to exclude PG from our vape, it’s vitally important to be able to identify the PG-free flavours, or else they might as well not exist. The trouble is, I shouldn’t think that we’re all repeatedl;y hunting through ELR with a fine tooth comb to find the answers we need. I should think I’,m unusual there. Personally, I’ve just ruled out whole product ranges on the basis that it says PG on the labels. Normally, that would make sense, but I hate to think that people like me will now be ruling out all of the RF products on that basis. But I’m sure that’s happening, even as we speak. I do appreciate you being careful not to mislead us , but surely there must be a better way of resolving this? Heck, we’re gonna have people going back to stinkies, just for the sake of three of your flavours having a bit of PG in them, at this rate. Where are the Real Flavors SDS? you mean at the bottom of each flavor where the 3 dots are? imo it should be on every flavor and also in an index, and on the site map? Thanks for response. Yea I ended up emailing them and they sent me all their sds sheets really fast!